4x12 CAB: Custom engineered for optimum sonic response, the 4x12 is hand crafted from 11-ply Baltic Birch and built as rugged as the head. Sealed and resealed, these cabinets provide the tightest, clearest sound on the market with massive low end. Airspace is precision optimized to ensure the best sonic response and efficiency from the speakers. Diamond cabinets are exclusively powered by Celestion speakers, which have set the benchmark of tone and reliability (2 of the most important things to us and you!) for decades now. Our custom cabinets contain 4 Celestion Vintage-30 speakers. Cabs feature the highest quality components, including substantially upgraded 220lb load rated casters with quick-change plates. Wired to 8 ohms. 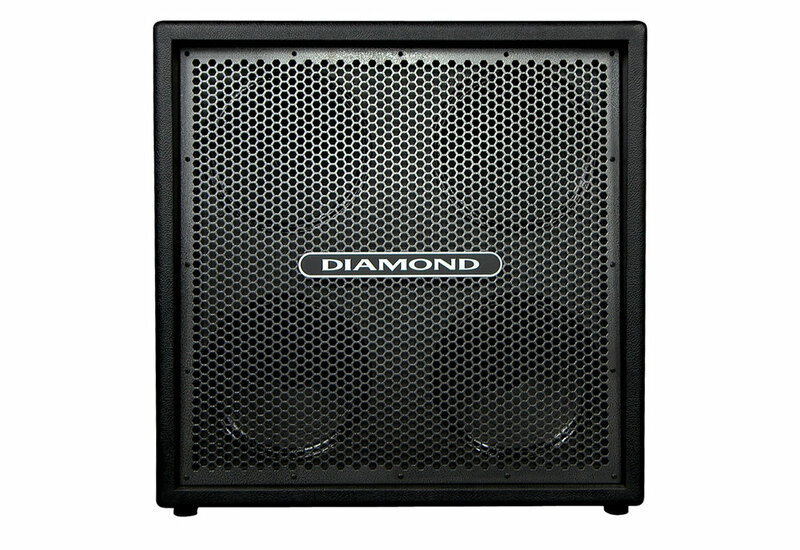 2x12 CAB: DA’s 2x12 is crafted with identical features and construction to the Diamond 4x12. The 2x12 features 2 Celestion V30’s wired to 16ohms. Comes with removable casters with quick-change plates and unique edge-lift handles. Matching look.